Sněžka is the highest peak of the Giant Mountains, that we called Krkonoše. The little bit difficult to pronounce, but have a try, you might need it in this country. 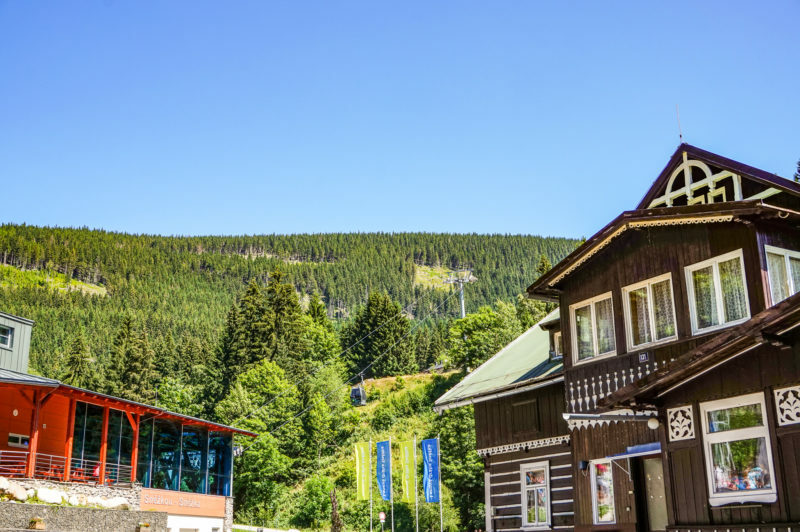 Krkonoše is the most popular mountains for individual tourism, both in summer and winter, so you might come across this name several times. 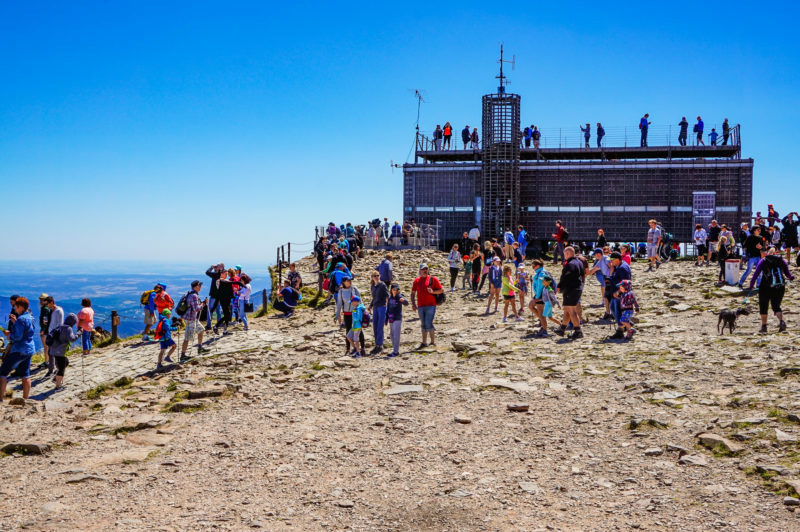 In Krkonoše you can find seven out of ten the highest points of the Czech Republic. Sněžka is the highest one and we share a peak with our polish neighbor. The history of this place from the perspective of the Czech- Polish relations is also interesting. 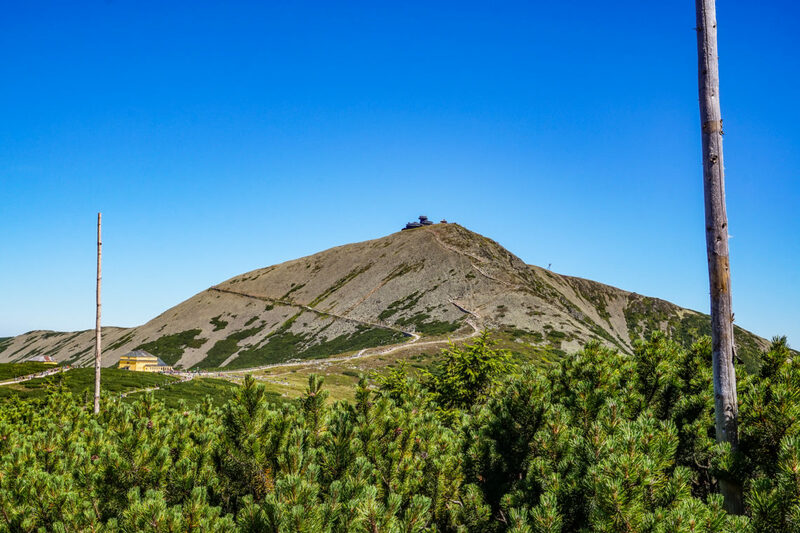 You can find here about 27 km long hiking trail of Czech-Polish friendship that leads just on the border and crosses the peak of Sněžka as well. During the late 1970s, people from both countries take an opportunity to meet together on this touristic trail despite the prevention measures of the secret police. Then, both states closed the trail for several years and people were not allowed to hike there anymore. 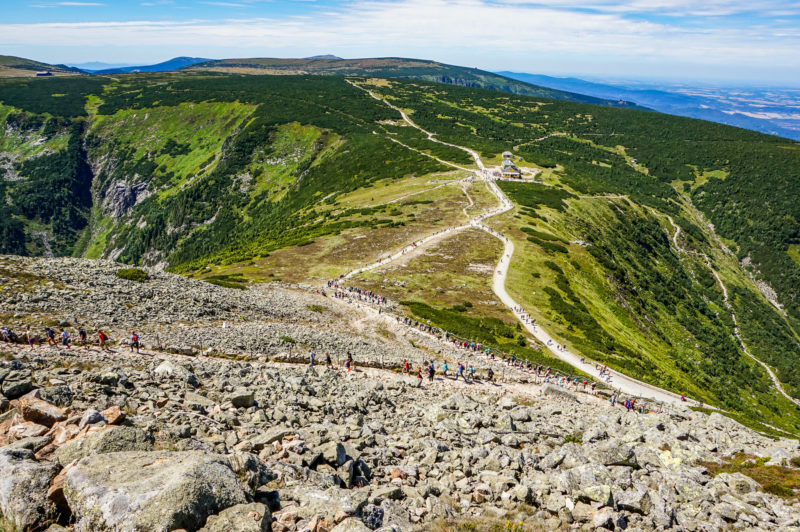 On the peak of Sněžka was stretched a rope and people were even forbidden to talk with persons on the other side. 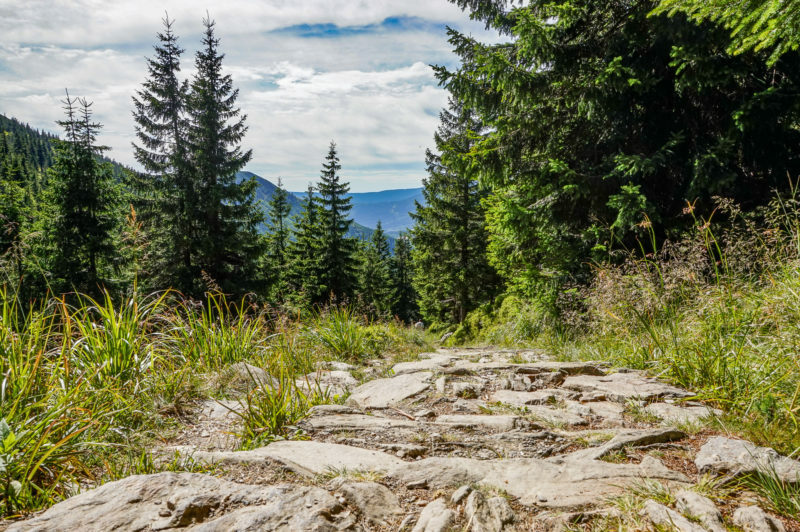 Now, you can freely walk everywhere and even explore the polish side of the mountains. Sněžka has its name from the term “covered by the snow” that comes roughly from the 19th century. The peak itself is not so small, so you can find three different buildings here. The oldest one is the chapel of St. Lawrence coming from the 17th century. The second one is the polish observatory with restaurant and disc shape architecture. The third and the youngest one is the Czech post office, that was opened about ten years ago. You can send a postcard to your beloved one from the peak and enjoy a view from its roof. This post office replaced the original Bohemian hut, that was destroyed during the communist era. 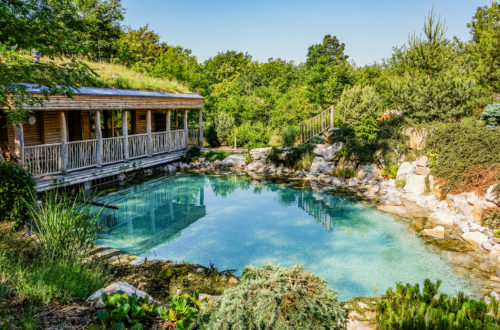 If you want to enjoy Sněžka in a more private atmosphere, I highly recommend planning your visit during the week. We rather improvise than plan during the national holidays and believe me, there were so many people like in the Prague city center during the day. Both for Czech and Pols it’s a very popular destination. Somehow you have to visit Sněžka if you are living in the Czech Republic. Otherwise, you really lack a basic Czech experience. So, plan your trip wisely! 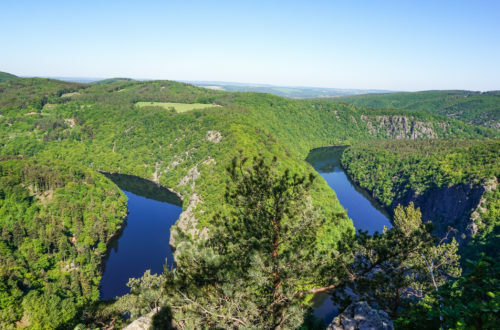 If you have already some experience with hiking in the Czech Republic, you might know that the Czechs somehow master the art of touristic sights. You can usually choose from the red, blue, yellow and green trail. The red trail at Sněžka is one of the Czech-Polish friendship. 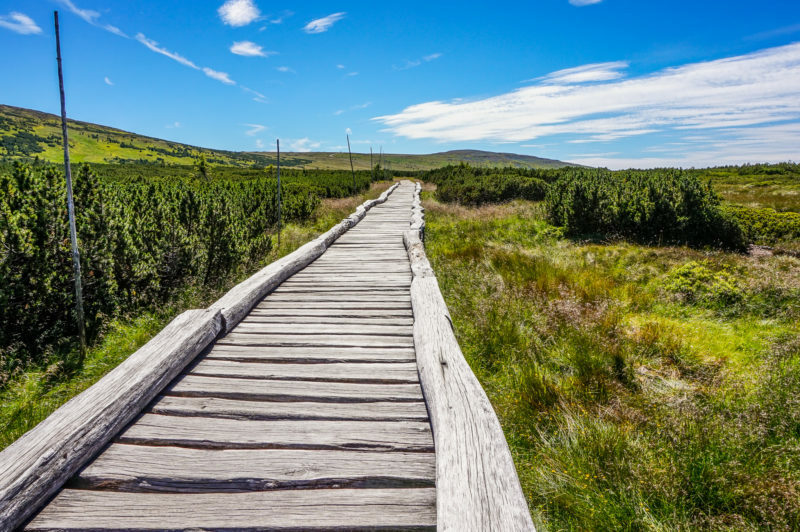 We decided to take a blue one leading to a Giant Hut (Obří bouda) and Luční bouda across beautiful peat bogs. 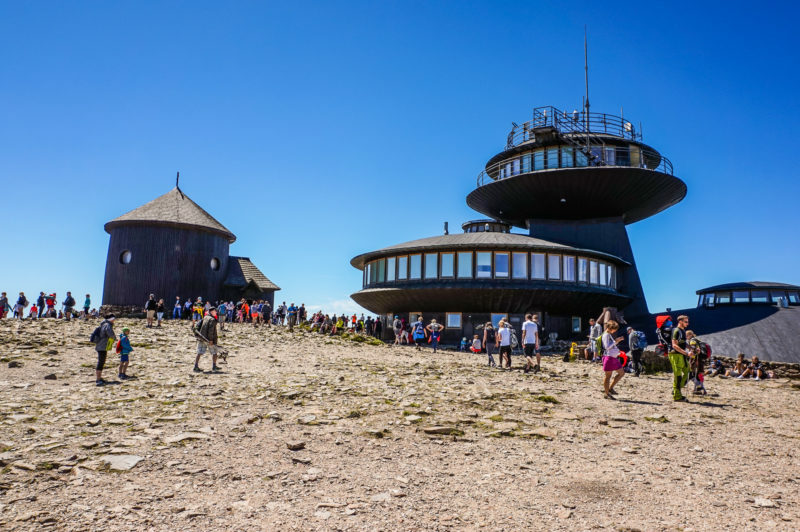 Then we continue by the red trail on the top of the hill towards Výrovka hut with spectacular views to neighboring mountains and phenomenal building in a futuristic shape called Ještěd. From Výrovka hut, we continued by a green trail towards a Špindlerův Mlýn. This trail slopes down into the valley alongside beautiful streams. We picked up blueberries on the way and relaxed by the streams. Špindlerův Mlýn was our final destination that is great itself for walks, relax and local cuisine. 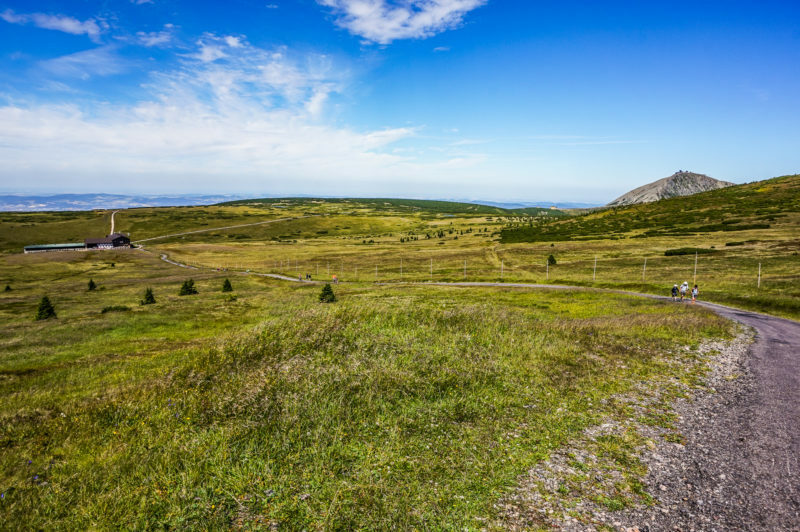 The most popular starting point is the nearby city Pec pod Sněžkou where we started as well. 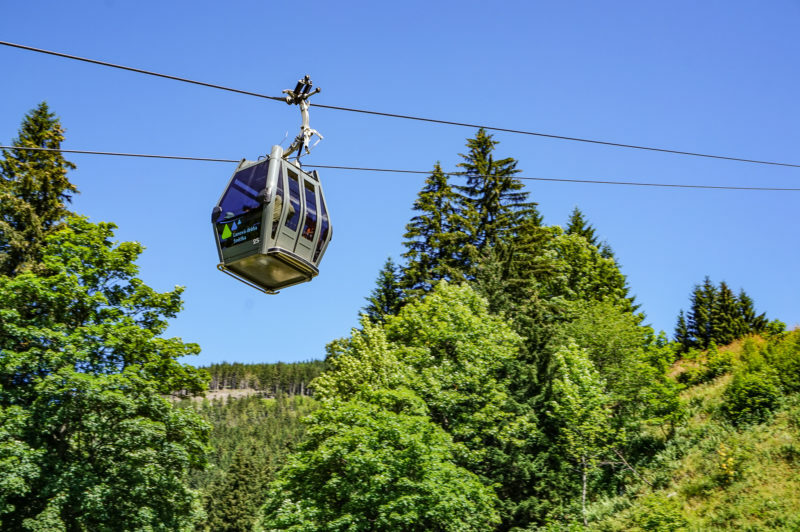 The popular cableway that takes you on the peak of Sněžka is also located here. You can choose a one-way ticket and hike back or take both ways as well. 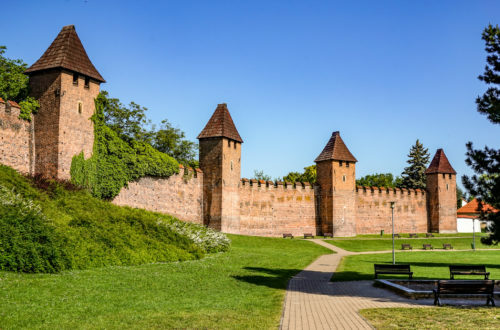 Another popular option is to start in a small city called Horní Malá Úpa by the yellow trail and continue in the middle by the red trail of Czech-Polish friendship. Be prepared in both ways for steep climbing. Believe me, if you don’t have any health problems, you can do it as a one day trip without a problem. On the way back, there are three the most popular destinations – Pec pod Sněžkou, Špindlerův Mlýn, and Horní Malá Úpa or you can choose a trail to Poland. Between all the cities, there is functioning public transport, so you can easily get closer to where you need. For a timetable, check this website here. 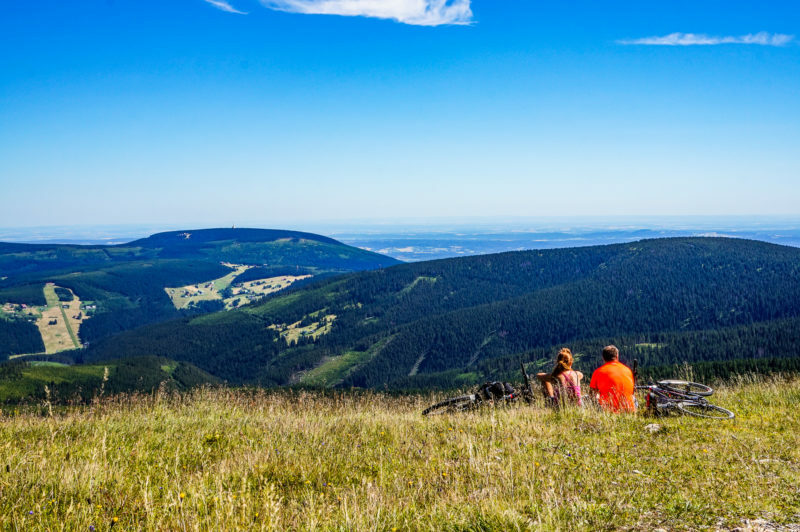 You can visit Sněžka several times and always you can have a different experience, not only by trail you choose but also according to the season. Always, you will be rewarded by the beautiful nature on the way and spectacular panoramic view from the top. Don’t miss this opportunity, it’s definitely worthwhile!